Renesas announced it has released one of the first USB-IF certified USB 3.0 hub controllers. 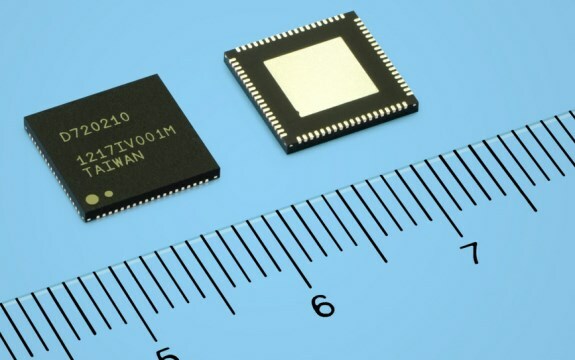 The chip is known as uPD720210 and will be immediately available to device makers for $3.50 per unit. Renesas Electronics Corporation (TSE:6723), a premier provider of advanced semiconductor solutions, today announced that its latest Universal Serial Bus 3.0 (USB 3.0) hub controller (part number uPD720210) has passed USB 3.0 compliance and certification testing by the USB Implementers Forum (USB-IF). It is one of the world’s first USB 3.0 hub controllers to achieve this recognition, following Renesas’ world’s first USB 3.0 host controller certification in 2009. The “Certified SuperSpeed USB (USB 3.0)” certification from the USB-IF offers manufacturers and consumers the assurance that the device will function in accordance with the specification and will interoperate with the billions of USB-enabled devices that exist in the market today. Renesas has continued its effort to create USB certified devices, including its world's first certified USB 3.0 xHCI (eXtensive Host Controller Interface) controller (part number uPD720200), its three descendants, and a USB 3.0 SATA bridge (part number uPD720230). Renesas Electronics now offers six USB-IF-certified USB 3.0 products, which will pave the way for the swell of industry support for the USB 3.0 standard. As a member of the USB Implementers Forum (USB-IF) since 1996, Renesas Electronics (formerly NEC Electronics) has played a leading role both in defining USB standards and in developing USB technology. In April 2000, the company (then NEC Electronics) launched the uPD720100 (the world's first USB 2.0-compliant host controller chip), the uPD720110, (the world's first USB 2.0-compliant hub controller chip) and an extensive lineup of other USB devices, and has earned a reputation for delivering dedicated customer service and high quality. In May 2009, Renesas Electronics (then NEC Electronics) introduced the industry's first USB 3.0 xHCI host controller and, only after four months of its release, the company became the world's first to earn the “Certified SuperSpeed USB (USB 3.0)” certification from the USB-IF, and also started mass production of the uPD720200 host controller. Renesas contributed to the USB-IF certification tests, providing the organization with the host controller products as the platform for other USB 3.0 device certification. "The USB-IF is pleased that Renesas has achieved certification for its USB 3.0 hub controller (uPD720210)," said Jeff Ravencraft, President & COO, USB-IF. "USB certification is a key factor to ensuring interoperability across the growing SuperSpeed USB landscape. Renesas has been a strong supporter of USB device standardization efforts from the beginning of the USB-IF, and its contributions continue to help drive the development and growth of the USB 3.0 ecosystem."